1. Double-check the date. You want as many attendees as possible, so make sure your dates do not conflict with any holidays or other industry conferences. OPM.gov has a list of the upcoming national holidays. 2. Discuss the budget. Knowing your budget ahead of time will help determine your conference agenda and whether or not you will include meals or other activities. 3. Have online registration. Using an online registration website is a great way to collect your attendees’ information, keep it organized and print agendas and sign-in lists. Hello Productions has online registration experience and can easily help you set up and manage your registration. 4. Promote the event. Whether your conference is geared toward employees within your own company or open to the public, make sure you get the word out there! Advertise internally and with industry-related sources. 5. Select the right venue. It’s important to pick a venue that can adequately hold your group. If you are going to have breakout sessions, make sure the venue has plenty of rooms that you can use. A hotel is a great venue if you want to include a meal with your conference. If you’re looking to get away for a team-building retreat, pick a location that is a farther away from your everyday work. Companies will often opt to have a conference or meeting at their own facility, but remember that you will have everyone’s full attention if you are at a new location. 6. Check the technology. When picking a venue, be sure to ask if the technology requirements you will need are available. These may include projectors, screens, microphones, sound systems and podiums. If you have any speakers who would prefer a flipchart and markers, be sure to have these ready ahead of time. 7. Have a guest speaker. 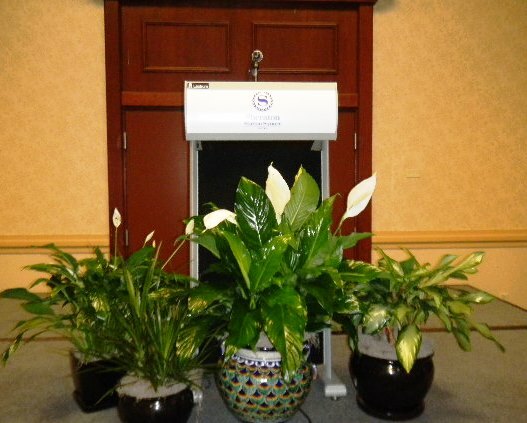 Even if your meeting is small with just internal employees, it’s still a great idea to have a guest speaker. It can be someone who is an expert in your industry or someone with a motivational story to tell. If your budget doesn’t include a speaker, why not ask one of your employees to share an inspirational story? 8. Prepare for registration. 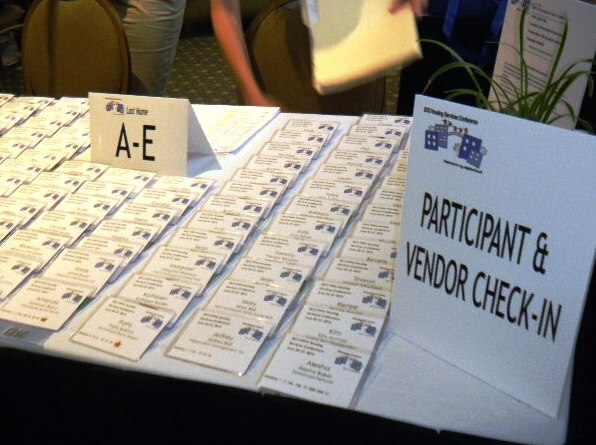 When you are planning out registration and getting ready to print your attendee packets, imagine yourself as an attendee and walk through the day. Make sure you have the appropriate signage, instructions and people to answer questions. You may want to ask yourself: When I first get to the venue, where do I go? Is there a map in the packet? Will lunch be provided and if so, where? What if I have a dietary restriction? Are there bathrooms nearby? Will there be breaks so I can check my cell phone, email, etc.? a. Use a real-time polling system (such as http://www.polleverywhere.com/) in your sessions to create audience interactions. Use it to find out their opinions about the company or products, submit questions or new ideas, or have silly polls to get everyone paying attention and involved! b. Hand out something fun for questions asked, answers submitted, ideas given, etc. These could be fun stress reliever ball, raffle tickets for prizes later or candy. c. Have a themed lunch or dinner, such as a taco bar or different items from favorite local places. If you’re not including a meal, surprise attendees with snacks, such as popcorn brought to each table or a make-your-own trail mix bar so they can be re-energized for the afternoon session. 10. Wrap up. Email your attendees a survey after the conference (or have them fill out one before they leave) so you can use their comments to improve next year’s conference! Hello Productions in Raleigh is happy to help plan, organize and run your next conference! Contact us today at 412-288-7333 or ashley@helloproductions.com. For other ideas, feel free to check out our Corporate Photo Gallery.